Mini-symposium at the Memory Studies Annual Conference (Convenor), Madrid, 25-28 June 2019. 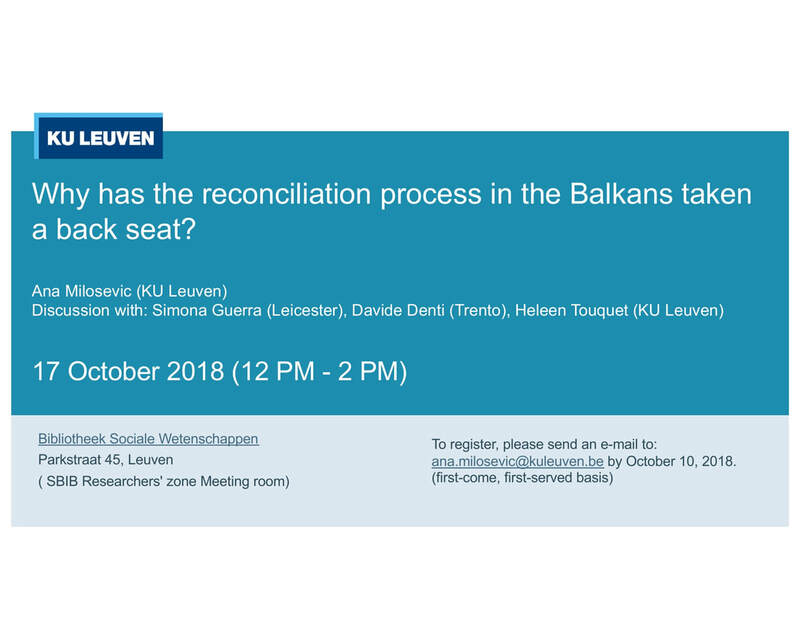 "Remembering Yugoslavia: The EU memory framework and the Enlargement "
"Europeanisation, Reconciliation and Remembrance in the post-conflict Balkans"
ISA Conference. Panel TA10: "New Memory Challenges In The Western Balkans And Beyond" Belgrade. "Hijacking National Memorials? Spontaneous Memorialisation As Justice-Seeking In Malta"
A European Memory For The Western Balkans? The 2019 ASEEES Summer Convention, Zagreb, Croatia. June 14-16. Panel organiser and discussant with prof. Vjeran Pavlakovic, Uni Rijeka. "The Europeanisation and Memory Politics in the former Yugoslavia"
KADOC - Documentation and Research centre on Religion, Culture and Society. Leuven. 20 December 2018. Recognition Reparation Reconciliation – The Light and Shadow of Historical Trauma Conference. LINES, KU Leuven. 22 November 2018. Paris, France. 11-13 November 2018. Europe and the Everyday: Grassroots, EU and the Politics of Crisis. Closing workshop. Why has the reconciliation process in the Balkans taken a back seat? Memory Laws in Post-Transitional Democracies: Case Studies form Post-Communist States Conference. European commemoration of Vukovar: Shared memory or joint remembrance? University of Hull, UK. ​"Remember Me: The Changing Face of Memorialisation" 4-7 April 2018. Present Past: Time, Memory, and the Negotiation of Historical Justice, Columbia University, New York, NY. 7-9 December 2017. European Consortium for Political Research (ECPR) General Conference, University of Oslo. Norway. 6-9 September 2017. 6th European Remembrance symposium, European Network for Remembrance and Solidarity, 6-8 June 2017. Mémoires et usages publics du passé: La mémorialisation des attentats. Paris, 02 June 2017. Terrorism, memory and dealing with a trauma. Spontaneous memorialisation of the 2016 Brussels attacks. "L'état face à ses transformations Septième congrès triennal de l'Associations Belge francophone de Science Politique (ABSP). Mons, Belgique. 3-4 April 2017. BASEES Annual conference. University of Cambridge. UK. 31 March - 2 April 2017. Spontaneous memorials - a new commemorative genre? ​Lecture. University of Ljubljana, Slovenia. 15. December 2016. 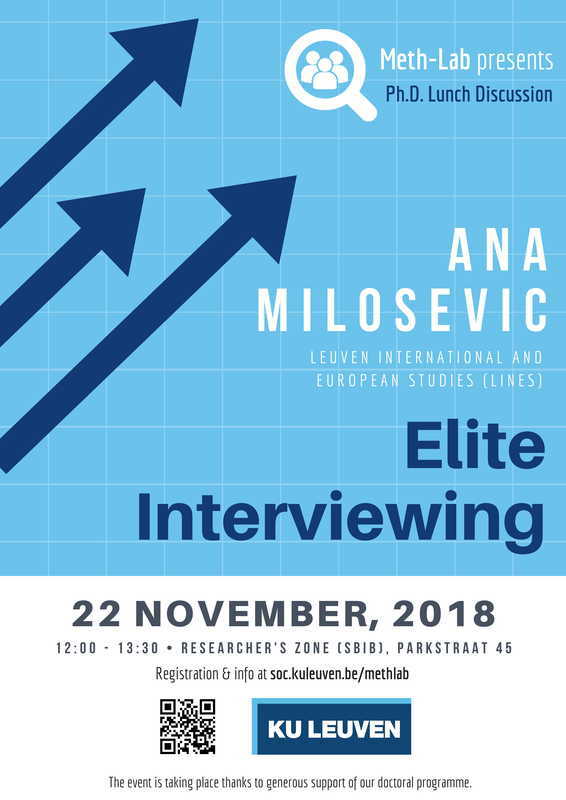 Touquet, Heleen and Milosevic, Ana. Contributed paper presentation. "Confronting violent pasts and historical (in)justice." ALLIANCE FOR HISTORICAL DIALOGUE & ACCOUNTABILITY (AHDA). NIOD Institute for War, Holocaust, and Genocide Studies: Amsterdam. 1-3. December 2016. National reconciliation or rupture with the past: De-communization of Yugoslav memories in Serbia. Contributed paper presentation. "Making, Sustaining, Breaking – The Politics Of Heritage And Culture." Cluster of Excellence "Asia and Europe in a Global Context". University of Heidelberg. 12-14. October 2016. Croatian politics of memory in the European Parliament. Contributed paper presentation. ECPR SGEU 8th Pan-European Conference on the European Union. University of Trento. 15-18 June 2016. Framing Reconciliation as Stability? The EU, Serbian Elites and Grassroots Interpretations of Reconciliation in the Context of Srebrenica. Back to the future, forward to the past: Domestic politics of memory and the decision making of Croatian MEPs. Contributed paper presentation. "Beyond history and identity: New perspectives on aesthetics, politics, and society in Eastern Europe." Forum for Transregional studies and the Humboldt University. Berlin. 2-12- December 2015. A locus for European Memory? Understanding the role of historical memory in the attitudes of the MEPs towards the House of European History. Contributed paper presentation. "EU politics of memory." Global Governance Programme/RSCAS(EUI) and COST Action IS1203. In search of transcultural memory in Europe(ISTME). European University Institute (EUI). Florence.19-20 June 2015.